I recall a sign I saw at a YMCA: Motion is not action! Depending on the intensity of the exercise, one might expend more calories in the same time that someone else does with another exercise of less intensity. In fact, two individuals can actually engage in the same exercise with different levels of intensity and get different results. The same is true in literacy programs. Certain practices may actually pay off with greater gains for students who need them rather than other. We need to be much more intentional in looking at what those practices might be. Acceleration focuses us on getting more bang for our buck. We believe action – not just motion – would address four acceleration guidelines and recommendations to move literacy instruction closer to reaching all students. Guideline #1: Literacy instruction matters throughout the day. Let’s challenge the assumption that any one part of the instructional day will carry the burden for addressing the differences students bring to the classroom. If we are going to help all readers be successful, we need to focus on that goal throughout the school day, throughout the school week and throughout the school year. We may need to reexamine current models conceptualized within the RtI frameworks that start with the assumption that Tier One instruction should reach only 80-85% of learners. This means that for one out of every six learners, the burden for acceleration is shifted to one part of the school day instead of placing the responsibility on all parts of the school day. Guideline #2: We need more effectively designed whole group lessons. Three critical issues need to be explored in literacy programs. First, we need to examine the amount of time spent in whole group lessons. Knowing that targeting instruction is more effectively done in small groups or individually, we need to look at whether the time devoted to large group instruction is appropriate. Second, when these lessons are used, we need to assess and improve levels of student engagement. Third, we need to assist teachers in using models that provide a way to structure more direct support to those students in need during whole groups. Guideline #3: We need to make sure small-group instruction is targeting instructional needs effectively. In looking at small groups, we need to shift a current focus on teaching texts to teaching readers. This means strengthening teachers’ ability to coach readers as they work on texts in small groups. We can tighten up existing small-group models so that all readers have access to the same meaning-based instruction and can share in high-level post reading discussions. Teachers need to explore the use of text sets that allow readers to move through levels of texts more quickly with excellent comprehension. Guideline #4: We need to make sure individualized approaches target instructional needs effectively. In looking at individualized approaches, we need to make sure the work students engage in away from the teacher is powerful work. 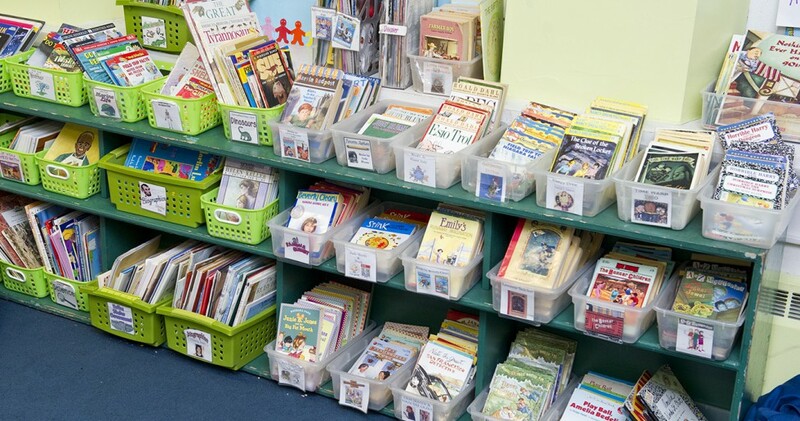 We need to tighten up existing individualized approaches so that all readers are supported in their choice of appropriate materials and focused on high-quality mediated meaning-based instruction before, during, and after the independent reading. In conclusion, we agree with David Pearson who once said: “Kids are who they are. They bring what they bring. They know what they know and we need to stop seeing this as an instructional inconvenience.” Instead we need to discuss how we can target efforts to differentiate instruction so that they accelerate the growth of all readers especially those who need our help the most.